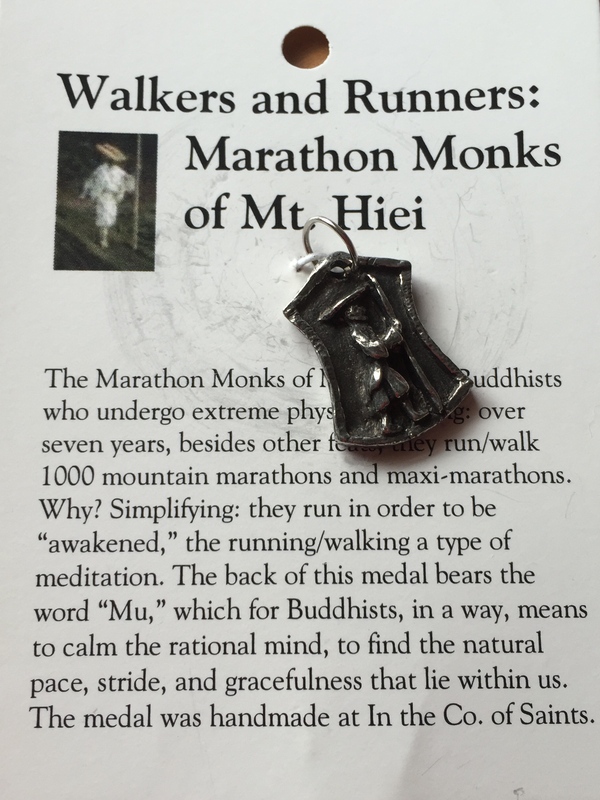 I recently crossed off another state in my quest to run an endurance race in each of the 50 States when I ran the Rock ’n’ Roll Half Marathon in New Orleans, Louisiana. I had visited New Orleans many years ago but didn’t really enjoy myself. I know many people who rave about how exciting New Orleans is. I decided that I was going to approach my visit with an open mind. There must be something that I missed in my last visit and I was determined to find it. After picking up my bib at the Expo, I headed over to the French Quarter. I stopped in the Presbytere, one of the Louisiana State Museums on Jackson Square. On the first floor, the museum had an exhibit on Hurricane Katrina. The exhibit showed the devastation caused by Katrina as well as the aftermath and on-going recovery (yes, they are still recovering 10 years later). It was a sobering reminder of how much the city had suffered. The second floor of the museum housed a colorful exhibit on the Mardi Gras. As I wandered around looking at the elaborate costumes, I could hear a band playing outside in Jackson Square. 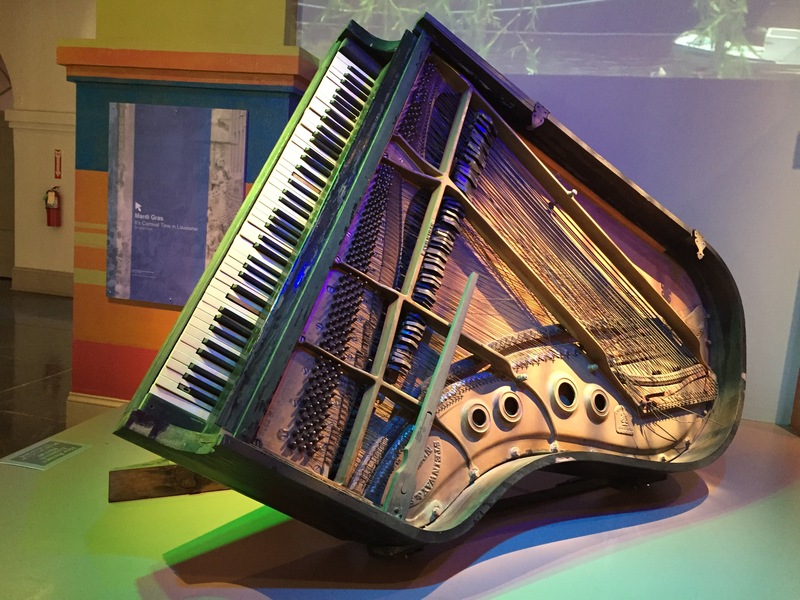 The music set the right atmosphere to enjoy the exhibit on the annual Mardi Gras celebrations. 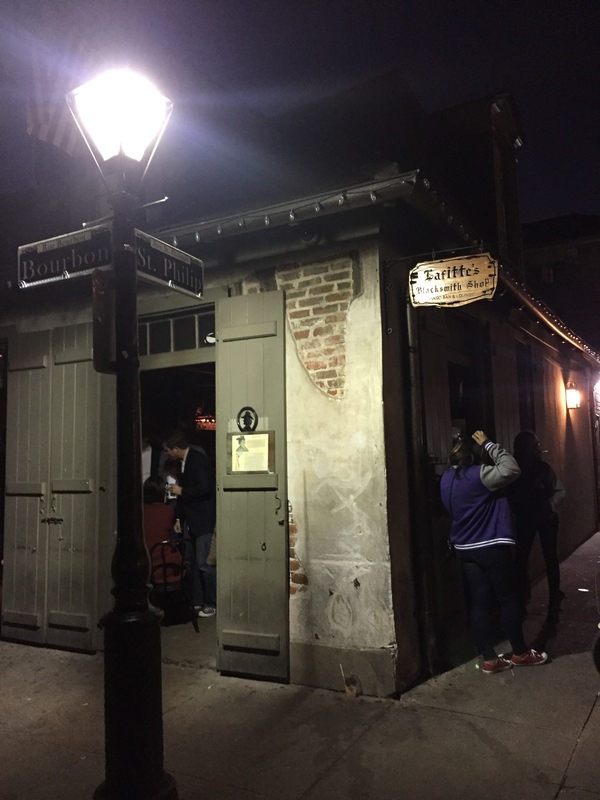 Since New Orleans was once the home to Anne Rice, famous for the Vampire Chronicles, I decided to take a ghost tour of the French Quarter with Haunted History Tours. I had high expectations after the ghost tour I took in Savannah, Georgia. Suffice it to say, both Savannah and New Orleans have dark legends and documented hauntings. One of the houses we saw on the tour was the Lalaurie Mansion, home of Marie Delphine Lalaurie, an alleged serial killer. The home was once owned by Nicholas Cage, although our guide said he never slept one night in the house. After walking all over the French Quarter for 8 hours, I decided to rest my feet before the race. I took a small group bus tour that combined all of the traditional New Orleans sights with highlights of Hurricane Katrina. 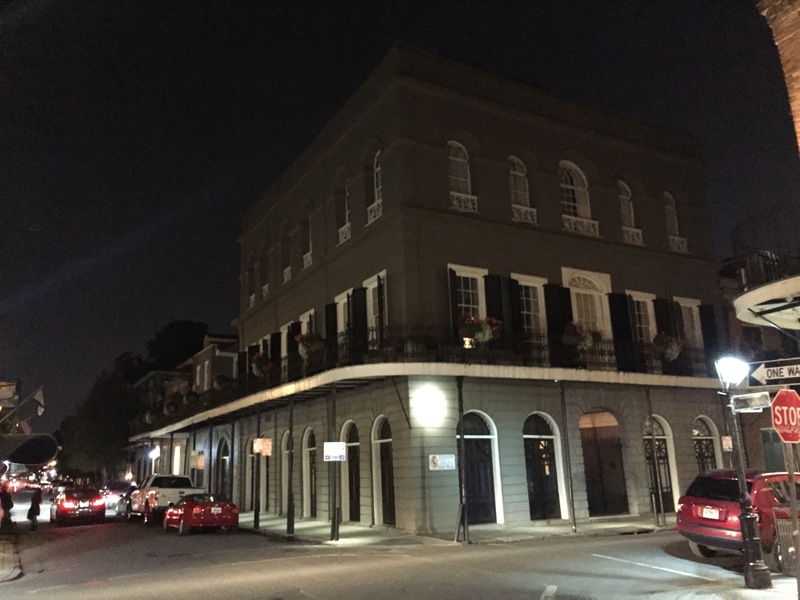 The tour covered the history and architecture of the old Creole city, the impressive mansions along Esplanade Avenue and in the Garden District, Lake Pontchartrain, and areas that were destroyed when the levees failed during Hurricane Katrina. (Tours of the Lower 9th Ward, the hardest hit area, are not permitted.) I saw the Musician’s Village in the Upper 9th Ward, the result of the collective efforts of Harry Connick Jr., Branford Marsalis, and Habitat for Humanity to help bring musicians back to New Orleans. Even the playground in the Musician’s Village had a musical theme with piano keys painted on the sidewalk and sculptures of tubas and saxophones for kids to climb on. Race day arrived and I was ready to run through New Orleans. 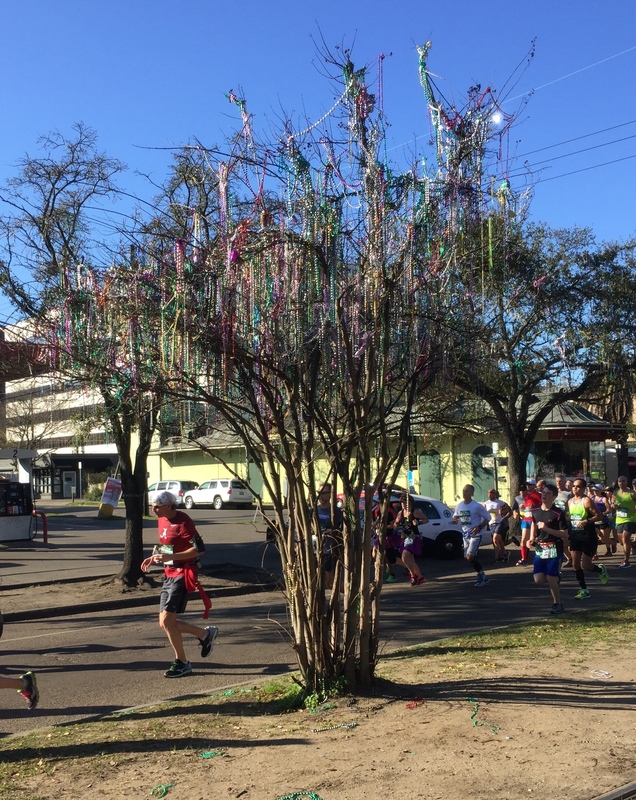 There were plenty of runners dressed in Mardi Gras-inspired outfits or wearing beads. The course was flat but I had to keep an eye out for potholes and broken bead necklaces on the ground. I didn’t want to twist an ankle or fall because of beads rolling under my feet. It should not be surprising to anyone that the music along the course was about the best that I have heard at a race. After the race, there was a huge post-race party in the City Park where the race finished. Although I came to New Orleans with low expectations, I left with a new appreciation for the city. I found a historic city with beautiful architecture and a wealth of talented street musicians and artists. It was a fun place to run. If you visit New Orleans, I recommend taking a tour of the city. I enjoyed the two that I took by Tours by Isabelle and Haunted History Tours. There was a wide variety of music on the street. This group, Buku Broux, was my favorite. The one musician is playing a kora, an African Bass Harp. I bought one of their CDs so I could bring their music home with me.